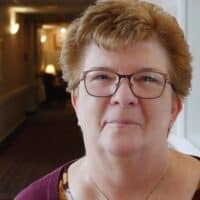 Greensburg, Pa — Leading the largest department in the community is no easy job, but Linda Clawson, Director of Resident Care Services at Newhaven Court at Lindwood makes it seem like it comes naturally to her. Over the course of her seven years at this facility, Linda’s detail-oriented nature and tenure has led her to overcoming many challenges that the community has faced. Linda puts her job and others before herself and is selfless in ensuring that quality care is provided to her residents. In one incident, she had sacrificed her Christmas holiday in order to tend to her residents and ensured none of them were injured during a sprinkler pipe burst on the cold morning of December 17th. The results of Linda’s hard work are not only felt emotionally by the people around her, but also in the tangible results that were yielded in recruitment and retention of staff. After two solid years of staffing struggles, in December 2016, Linda was officially able to discontinue agency usage in the community due to her focus on hiring. 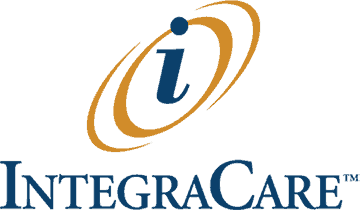 On top of maintaining a flawless attendance record for the entire calendar year of 2017, turnover was reduced by 104% and the lowest number of falls was achieved in the implementation of IntegraCare’s Mobility Management Program under the leadership of this community’s quiet hero. You can view Linda’s video at https://youtu.be/G1QENxBGjhA. PHCA’s Hero Awards honor individuals who have excelled in providing outstanding care in a cooperative spirit of teamwork. Each year, PHCA accepts nominations from employees and administrators at long-term care and senior service facilities across the state that want to recognize colleagues for their commitment and dedication to quality care and quality of life. The Pennsylvania Health Care Association (PHCA) is a statewide advocacy organization for Pennsylvania’s most vulnerable older residents and their providers of care. Members comprise for-profit, nonprofit and government providers. Together, they represent more than 420 long-term care and senior service providers that care for more than 50,000 elderly and disabled individuals. For more information call (717) 221-1800 or visit www.phca.org.